We at Screaming Back at the Screen are HUGE fans of the GREAT talk show host, David Letterman. His late show is our preferred destination for late night viewing, laughter and musical guests and we try to watch as often as possible. 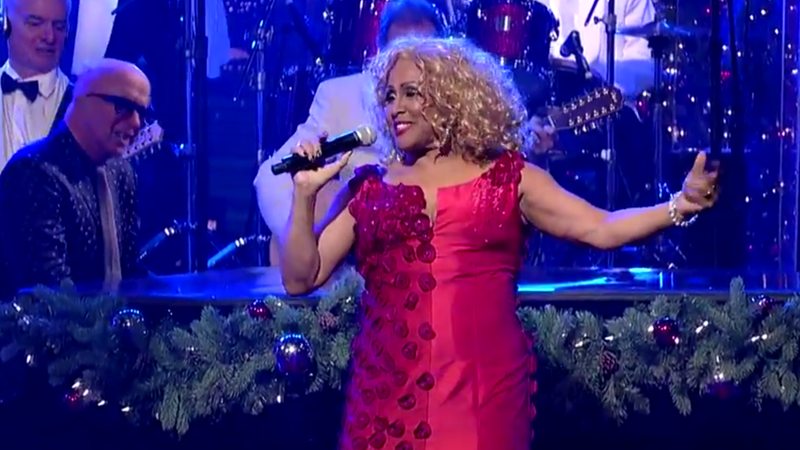 We’ve always looked forward to Darlene Love‘s annual performance of her yuletide classic, Christmas (Baby Please Come Home). For almost 30 years, she has closed Letterman‘s show at the holiday season with a rocking performance of her signature seasonal tune on the Friday before Christmas. Darlene Love and Paul Shaffer rock the house on the Late Show with David Letterman. It was the last of her annual Christmas performances.